We can, perhaps, begin our tour of this beautiful place, by quoting some brief history of Ampleforth, courtesy of the English website of the Benedictine Order, of which, Ampleforth is one of their houses. and Edward Mayhew, English monks of the Cassinese Congregation, to the Abbey of Westminster and the ancient English Congregation. Fr Edward Mayhew went to St Lawrences, Dieulouard in France in 1613. Monastic life began at St Lawrences in 1608 with a handful of exiled Englishmen, and for the next 185 years men were trained for the English mission. Dom Alban Roe, a monk of St Lawrences was executed as a priest at Tyburn in London in 1642, and was canonised by Pope Paul VI in 1970. Driven from France at the outbreak of the Revolution in 1792, St Lawrences were on the move in England, mainly in Lancashire, for ten years, before finally settling at Ampleforth in 1802. 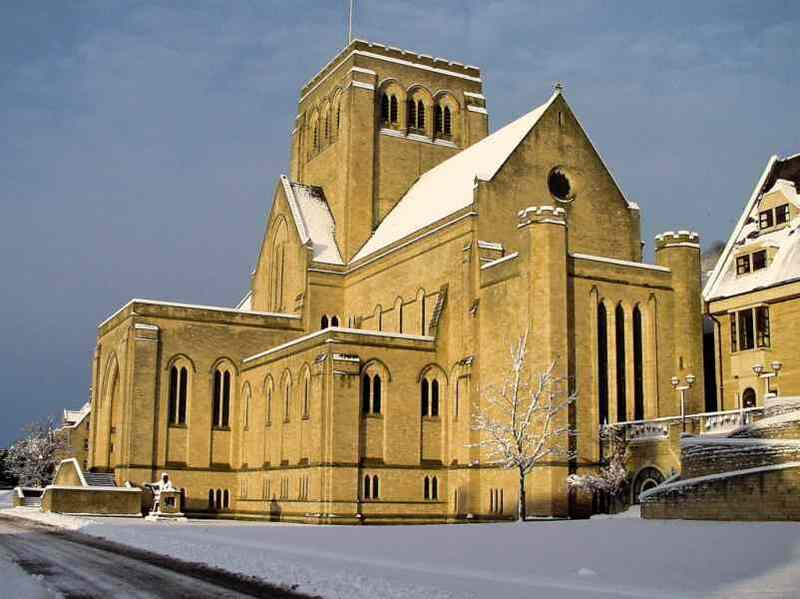 The first church was completed in 1857, being pulled down in 1957 to make way for the completion of the current Abbey Church, begun in 1924 and consecrated in 1961. 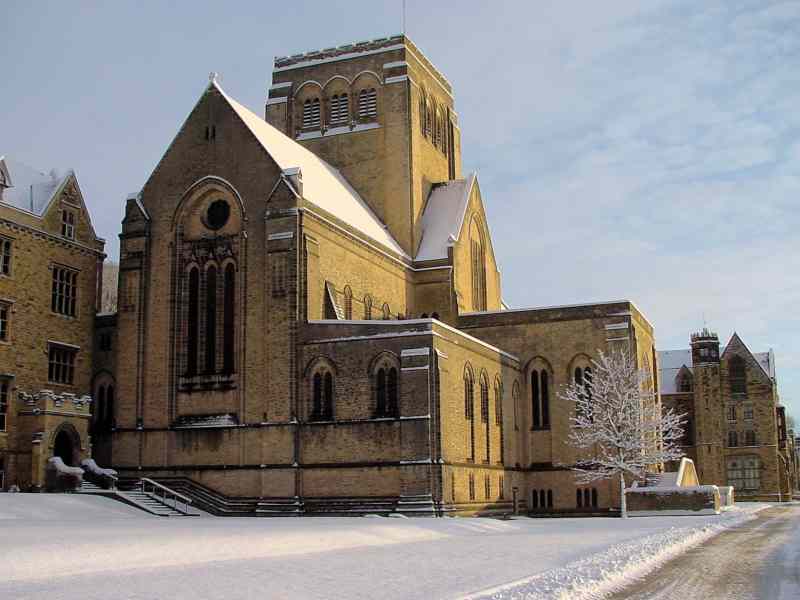 The school attached to the Abbey began its life the following year. St Benets Hall, a permanent private hall of the University of Oxford, was founded in 1897 and serves as a house of studies for the Congregation and for other religious and laymen. In 1955 a foundation was made at St Louis, Missouri, USA which became independent in 1973 and an abbey in 1989. In 1996 the community made a new foundation at Macheke in Zimbabwe. 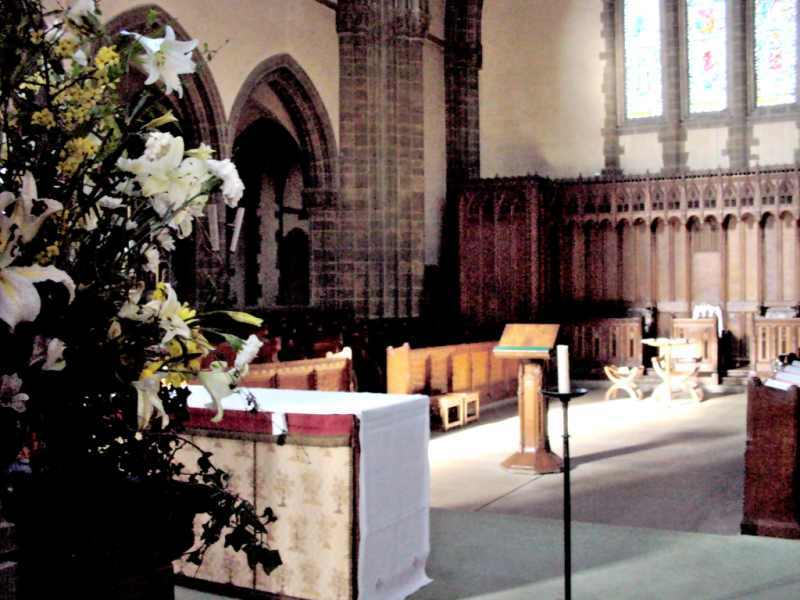 As well as working in the school at Ampleforth a third of the community is also involved in parochial work in the north of England. 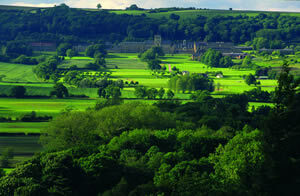 To the right you will also find links to other Benedictine house within England. 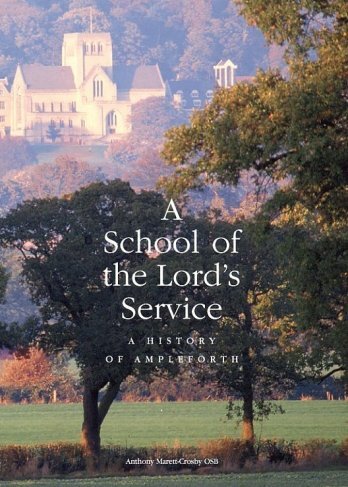 This new large-format book, shown below, with a link to the page, where you can purchase it, if you wish, celebrates the second centenary of the monastery and school at Ampleforth. It has a large number of illustrations (half the book is printed in colour) and many impressions and stories of individuals and events. Ampleforth Abbey Trustees. Copyright 2001. 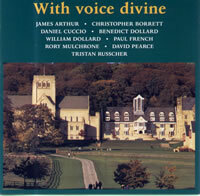 Postal address: Ampleforth Abbey, York, YO62 4EN. Handel - Art thou troubled?